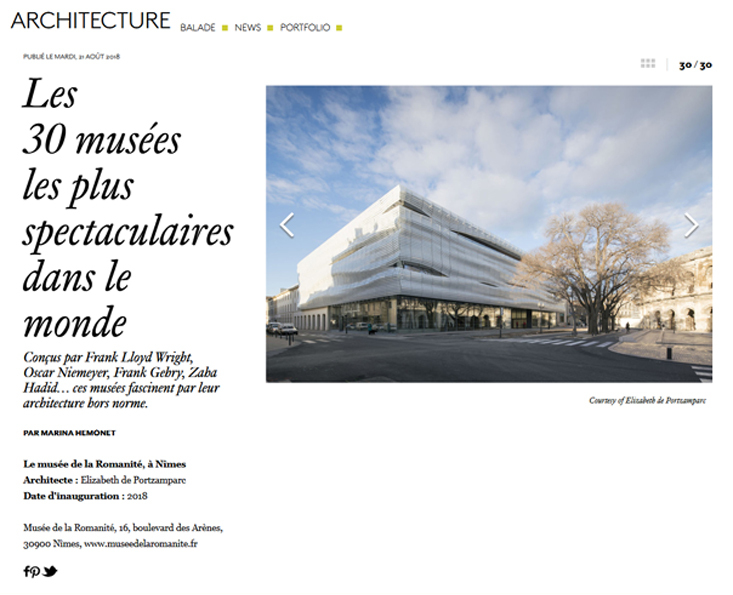 The Musée de la Romanité of Nîmes, one of the 30 most spectacular museums in the world according to AD magazine ! The Musée de la Romanité of Nîmes has been appointed by AD magazine as one of the 30 most spectacular museums. Discover the exceptional architecture of these fascinating museums!